In a survey of more than 200 pub licensees, 35% said they don’t currently stock any premium soft drinks brands. Interestingly, venues seem to accept the importance of non-alcoholic options: 57% of pubs say that soft drinks have become a more important part of their drinks range, but the average pub still only stocks less than 10 soft drinks. 65% also said they would like to increase their soft drink sales. Another survey of licensed venues (including hotels and restaurants) found that 73% of managers believe soft drinks to be an area of growth for them, this belief isn’t matched with action, as seen in other survey findings. For example, half of all venues stock fewer than 10 soft drink brands, and only 7% stock more than 20; and more than half (55%) offer cocktails, only a third (33%) offer mocktails. In our own online survey, the limited choice and poor quality of non-alcoholic drinks in pubs and bars was frequently cited by the customers as an issue affecting them. And our mystery shopping findings confirm this picture. In most of the venues we visited, the choice tends to be limited to carbonated soft drinks, mixers, and juices. A small minority of pubs stock one non-alcoholic beer, most don’t have any. Cocktail bars do offer to make mocktails as well, although these are not always listed on their menus. The two largest soft drink producers and distributors, Britvic and Coca Cola Enterprises, have a combined market share of 82%. There are a number of new and smaller entrants to the soft drinks market. In Hackney, Square Root Soda and Dalston Cola are two well-known local producers. Even such strong local brands with great products find it very hard to get their drinks into pubs and bars (they do better in cafes and restaurants). There are many reasons for this situation. For historical reasons (because soft drinks were mainly seen as a mixer), many venues buy their soft drinks from the same provider as their spirits. It is hard for new entrants to get listed with these suppliers. Even if they do carve out a niche for themselves, the big suppliers dominate the wholesale market. Venues understandably want to make ordering their stock easy, by using as few suppliers as possible. This makes product discovery hard for venues who will stay with safe, tried and tested drinks. In our experiment with stocking alternative drinks, we found that once the venue knew something was liked by customers, they were more inclined to sell and promote it, and once the discussion was opened it was easier for us to make other recommendations too. For example, our test venue chose to stock a non-alcoholic beer based on a beer tasting event we organised, where they could taste the beer themselves, and see the customer reactions. After the experiment had ended, the venue manager asked us to organise a non-alcoholic beer tasting in their own venue as well, so that they could try some more beers with a view to stocking some that would fit in with their business. The pub tie for beer has been a long-standing issue for the industry. A Government report on the pub industry found that nearly two-thirds of all pubs were tied to a wholesaler supplier, either as a managed pub or a tied tenant. This means that many pubs are severely restricted in their choice of wholesale drink purchases, and may not be able to offer new soft drinks even if the manager wanted to. They may also have to pay up to 30% above market prices for their drinks, further worsening their already difficult finances. As already noted, Dalston venues are mainly independent, rather than part of major chains. Several interviewees mentioned the fact that pub companies (like supermarkets) get paid by major drinks brands for prominent placement of their products in the venues – within eyeline or on the top shelf of fridges. This practice further reduces the visibility of non-alcoholic drinks. Another restriction on customer choice is due to soft drink serving equipment. The major operators are able to lease soft drink guns to venues for their main products (carbonated soft drinks, e.g. cola and lemonade), which is convenient for the bar. But these deals come with a catch – the venue will then be tied to the wholesaler, and will have to buy all of their soft drinks from one company, which makes it impossible for new entrants to get their products into many pubs and bars. This issue does not seem to apply in the same way to cafes and restaurants, who usually have more freedom in choosing their soft drink selection from several suppliers. Student unions, as part of their deal through NUS Services Ltd (NUSSL) can only stock Coca Cola Enterprises products in their bars, unless they apply for and are granted a special dispensation (e.g. for local products or to cater for the diversity of their student population). This £7 million a year contract for 5m litres of soft drinks restricts choice in over 200 university and college bars. The lower sugar content of the new craft sodas satisfies customer demand for drinks with less sugar, but it also means that they come with a shorter shelf life. This discourages some venues from offering products that they are not sure of selling on time. The higher cost of premium soft drinks is also an issue. While some customers may be willing to pay extra for a nicer drink, the venues’ perception is that the cost is too high, and that customers expect soft drinks to be cheaper. There is an element of truth in this, but venues don’t always upsell the premium soft drinks they already offer. In our mystery shopping, staff nearly always started by offering the cheaper products (coke and lemonade) on the soda gun first, and often needed to be prompted about the more expensive soft drinks in the fridge. Offering new non-alcoholic flavours to try. A weekly changing cordial for sale in a venue. Offering locally made, seasonal, healthier options whenever possible. Promotion, both in the venue and on social media, and making the drinks look tempting (dressing them well). Involving and engaging bar staff in the idea. Letting customers and staff nominate the next cordial. Also good for business if instead of drinking free tap water customers pay a little for the cordial. Pubs and bars are still an old-fashioned industry in many ways. There is limited innovation or market segmentation. We are aware of a small number of counterexamples, such as the handful of “dry bars” that have popped up in some cities, most pubs for example still look and feel much as they’ve always done. One of our interviewees, with many years of experience in the industry, said that most venues would not be interested in serving anything other than “coke, lemonade, and ginger beer if you’re lucky”. It may also be that a large number of customers do not really mind the current situation either, despite the many complaints we heard during our research. It is easy, however, to come up with new ideas to change things if venues and staff are given time and support to do so. Our venues workshop came up with several practical, easy to prototype ideas, such as “DIY mocktail packages” or “cordial of the week promotions”. We also got an encouraging result from our experiment with soft drinks and non-alcoholic beer. Once these new drinks were introduced to a venue as part of this project, the venue decided to keep them available even after the experiments were over. Our online survey found that the role of bar staff was not considered to be very helpful by people who want to drink less. One respondent said this: “Staff know a lot about alcohol (if well trained) but aren’t often taught to sell non-alcoholic drinks with the same knowledge or interest.” Our mystery shopping findings support this view for many venues – although we also had several very positive experiences with friendly and helpful bar staff. Our interview and workshop observations are confirmed by a survey of hospitality operators (hotels and restaurants as well as pubs and bars) which found that over half of managers expect their staff to upsell or promote soft drinks, only about a quarter have offered any training for this. And the poor quality of customer service is noted by customers as well – one survey found that people think pubs and bars provide the poorest customer service in the whole UK hospitality industry. We can guess at some of the reasons for this. Staff turnover rate in the hospitality industry is high. Staff often do not stay in one venue, or even the entire industry, for long. According to one estimate, nearly a million new staff will be needed by 2022. Diversifying the workforce, upskilling, and better strategies for retention are three suggested ways of maintaining sufficient levels of staff. There is free training available from the alcoholic drinks industry (through suppliers and brands) on wines and spirits and how to upsell them, but nothing on the same scale for non-alcoholic drinks. There is more mentoring and sharing of good practice by the larger companies who install and sell the mixers for soda guns, like Coca-Cola Enterprises. Smaller soft drink producers are at a disadvantage with their limited scale, compared to the much better resourced dominant producers and distributors. What the big suppliers demonstrate is that by making the business case to venues and providing training, sales of soft drinks can be increased. Training for staff is often provided in-house, but even if delivered by an external provider or through a pub company, the training often falls short of upselling soft drinks. Many do train in coffee-making skills. Unsurprisingly, most of the training that does take place tends to be confined to the basic statutory requirements (safety, crime and disorder). There is an opportunity to work with the training providers on skills that would support the aims of this project. With a little creativity (as we did in our co-design workshop), most pubs and bars could easily improve their non-alcoholic drink offering by training their staff in, for example, mixing mocktails (non-alcoholic cocktails). Understandably, this will not be a priority for most venues when thinking about their limited resources for staff training. The physical environment of many venues is less than ideal. Lack of sufficient storage and display space, the venue layout, and the bar furniture can all prevent venues from stocking or selling a wider range of drinks. For example, a venue may not be able to have as many fridges as they would like behind the bar, thus limiting the range of drinks they can have on offer. We came across these issues of physical space restrictions both in older purpose-built pubs, and in modern venues that had been converted into bars from other uses. The venues we spoke to were well aware of these issues where they exist, and also the impact they are having on their business. But fixing them would be prohibitively expensive (or simply impossible) for the venues. Proactively welcoming bar, with enthusiastic/knowledgeable staff who cater good service to non-drinking patrons. Advertising targeted at non-drinkers. Dedicated soft drinks “sommelier”. Welcoming service at bar/cocktail-style service. Wide selection of non-alcoholic drinks. A VIP lane at the bar for soft drinks. T-shirts saying “ask about our amazing soft drinks”. 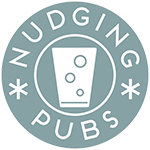 There are already some local and national award schemes for pubs and bars that recognise behaviours relevant to this project. For example, the Best Bar None scheme operates in several locations, the Scottish Pub & Bar Awards give out an “Award for Social Responsibility”, and The Publican Awards have recently introduced a new category for “Responsible Retailer of the Year”. We know that venue managers know and talk to each other locally, both in formal settings like PubWatch meetings and informally. We found that it was much easier to talk to venue managers about this project if they had already heard about it from one of their peers. This form of “peer pressure” between venues may partly explain the encouraging response to our idea of a self-assessment tool for promoting sensible drinking and an accompanying customer-rating website with an award scheme. The views of the venue managers we spoke to about a self-assessment tool were cautiously positive. None of the interviewees felt it would be much of an inconvenience to fill in a questionnaire. And their views on customer ratings were even quite enthusiastic. All interviewees felt the customer feedback would be useful to have, and would be keen to use the outcomes in their advertising and promotion.